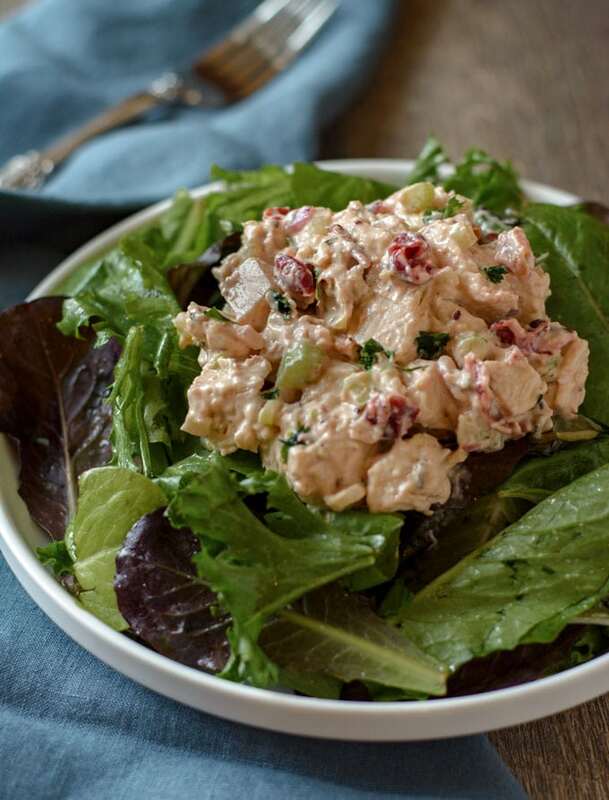 I’m a big fan of classic chicken salad, but this might just have rivaled that, y’all! I couldn’t believe how good it was! And so easy to throw together for lunch. I shot new photos of my Fresh Cranberry Sauce recipe for the blog, so I had plenty of leftovers to use up. For this recipe, you mix together mayo and leftover cranberry sauce in a large bowl. Then, add cubed chicken, celery, red onion and seasonings. Stir until combined. Refrigerate for a minimum of two hours to let flavors marry, then serve on a bed of lettuce or bread. You can use poached chicken, roasted chicken breast or even store-bought rotisserie chicken. I prefer to roast bone-in, skin-on chicken breast. Leftover roast turkey is also great! The dressing recipe is mayo-based, and that ingredient doesn’t freeze well, so unfortunately no. To speed up the process for future meals, you can dice up some cooked chicken or turkey and place that in the freezer. 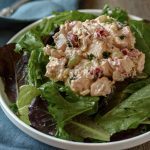 Make this Cranberry Chicken Salad and serve it on a bed of lettuce, in a wrap or on sandwich bread for an easy lunch! In the bottom of a large bowl, mix the mayo and cranberry sauce until combined. Add the chicken, celery onion and seasonings to the bowl and toss together until well combined. Cover and refrigerate for at least 2 hours before serving. Serve on a bed of lettuce, in a wrap or on bread. 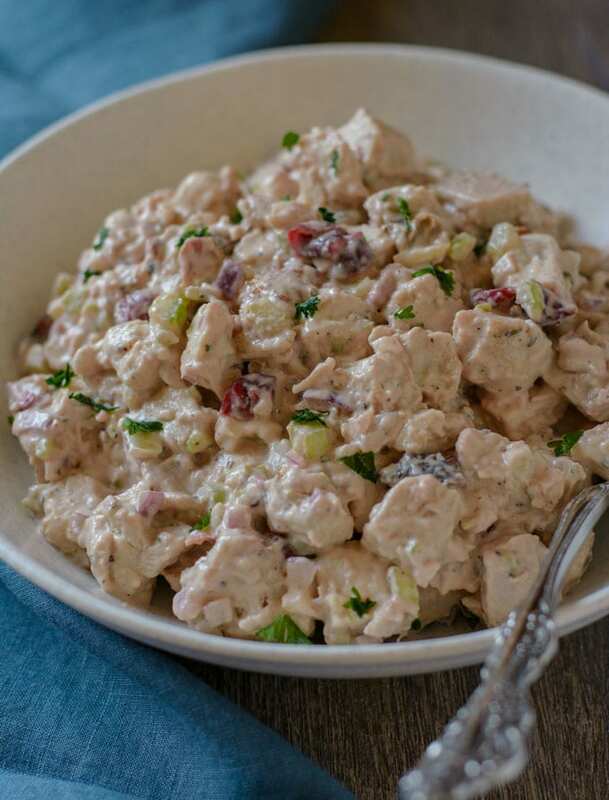 When stored in an airtight container, chicken salad will last for 3 to 5 days in the refrigerator.